Today we want to spotlight a company that we’d have our eye on for a while now, due to the beautiful rings they make using more non-traditional materials such as tungsten and titanium, but in a bold new style, and that is Thorsten Jewelry. Everyone from brides and grooms-to-be to ring aficionados have been asking us lately just where to look for rings made specifically with these types of non-traditional materials, as there are not a lot of retailers who sell rings using these materials that are truly impressive, and yet Thorsten has done it. This is why we want to direct some attention their way. Their rings are truly one of a kind. 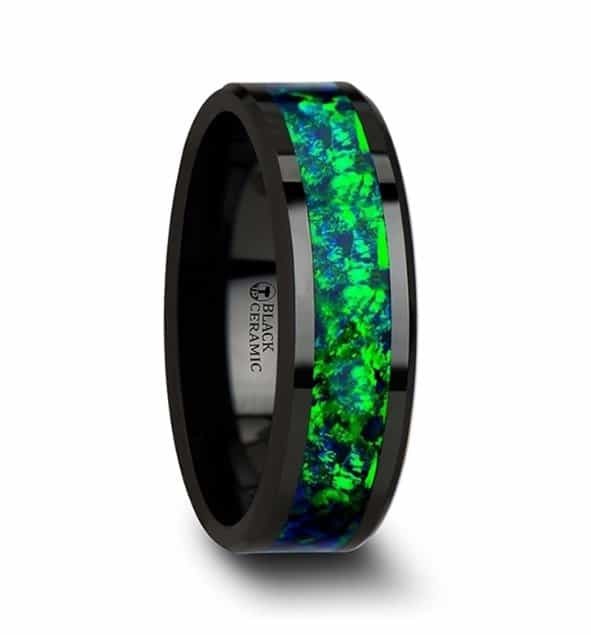 Dubbed the “men’s wedding bands specialists” for a very good reason, Thorsten Jewelry is a manufacturer based out of Long Beach, California whose name gives a nod to the the God of Thunder himself – the mighty Thor. This makes perfect sense when you consider the strong metals they use to craft their rings. The ring makers at Thorsten are clearly not fans of boring designs in general (who is? 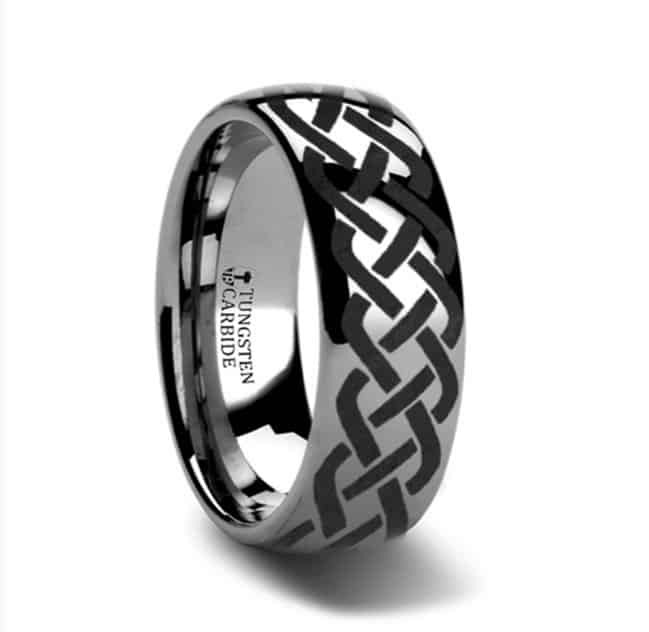 ), as they have gone out of their way to make sure that their own custom ring designs are anything but boring. This what partly what drew them to ring making in the first place, or so they say on their website – which is that all they were seeing at the turn of the century was a proliferation of ring makers who had no flair, no spring in their step, and – saddest of all – no style. Too many rings were being produced that used untraditional materials like tungsten and titanium, but the designs themselves were bland and uninspired – unacceptable! And so, after surveying the scene, Thorsten went to work and have now established themselves as ring makers who do offer innovation and expertise in their chosen field, and they have mastered a variety of ring styles and techniques to create finished pieces for men which are eye-catching to say the least. 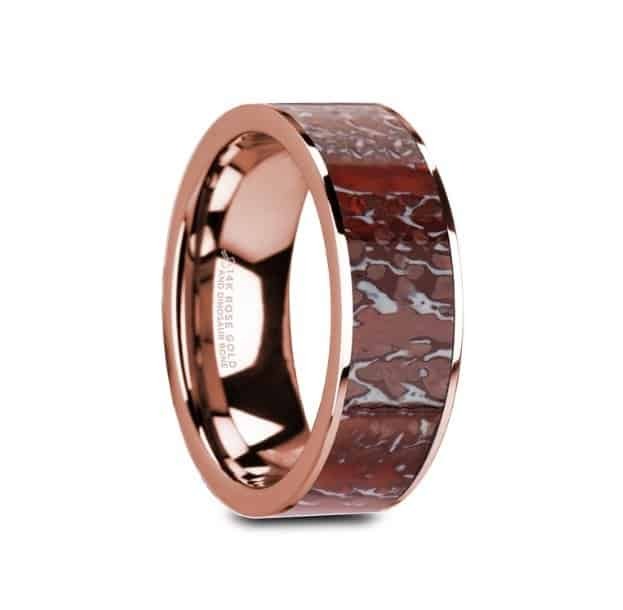 Women and men alike are routinely smitten by Thorsten’s mens rings, and who can blame them? We’re talking absolutely stunning finishes including satin, hammered, brushed, and more. 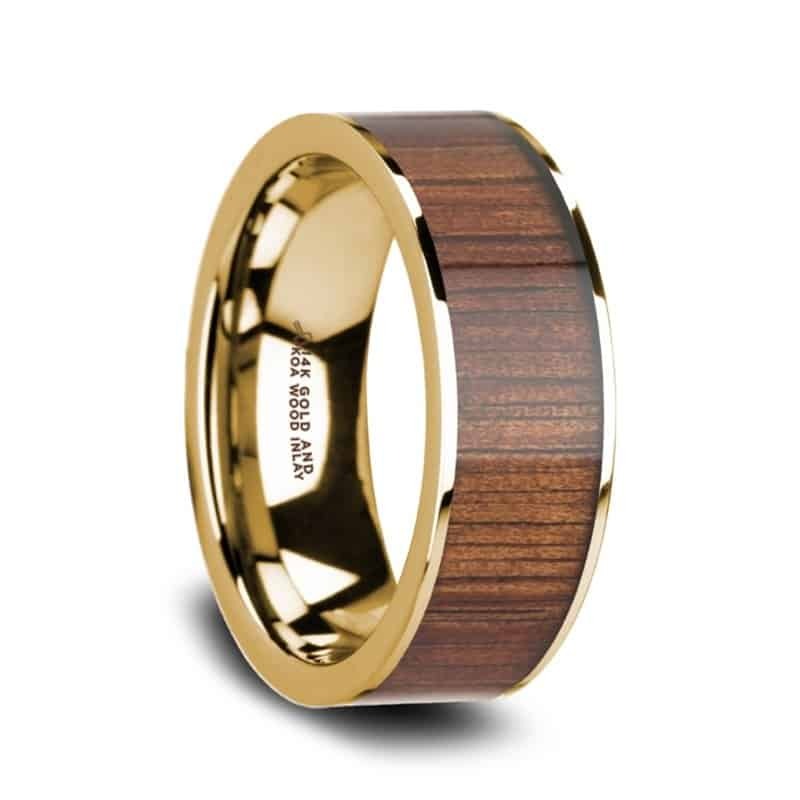 As well, their styles are quite varied, including rings with intricate wooden inlays, carbon fiber inlays, bevelled ring styles, and the list goes on and on! One big thing that sets Thorsten Jewelry apart from some of their contemporaries is their lifetime warranty plan, which is utterly comprehensive. When it comes to rings, or any other products that we consider investments in the future, often the warranty is where things really fall apart. Besides their great design sense with their men’s wedding bands, which Thorsten is rightfully proud of, their lifetime warranty is one of their other huge bragging rights. The Thorsten Jewelry lifetime warranty is really quite simple. Basically, if your ring cracks, you can instantly replace it at no cost for the ring itself (customers, however, must pay the shipping in a situation like this – seems only fair). If your finger changes size over the years, and the ring no longer fits, you can get a new one. This is a simple philosophy which Thorsten abides by and which makes them a customer favorite, because if anything happens during your entire lifetime, Thorsten Jewelry has you covered. Also, there is no need to register your ring with Thorsten, because they know their own rings. If a damaged ring comes back to them, they know exactly what it is and can quickly replace it. This leads us to our next point regarding how Thorsten Jewelry operates. What you should know about Thorsten Jewelry is that they themselves are not a store / retailer of jewelry, they are a manufacturer of jewelry. This means that they deal exclusively with authorized jewelry retailers, and operate by way of established partnerships. So, you cannot communicate directly with Thorsten by phone, as they do not have a “front desk” so to speak. They are busy making rings. Once made, they supply these rings to key retailers, and this is from whom the customer buys their ring. You can contact them via the Thorsten website here though. 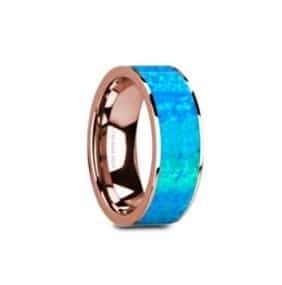 Check out these great deals for Thorsten rings on Amazon below.